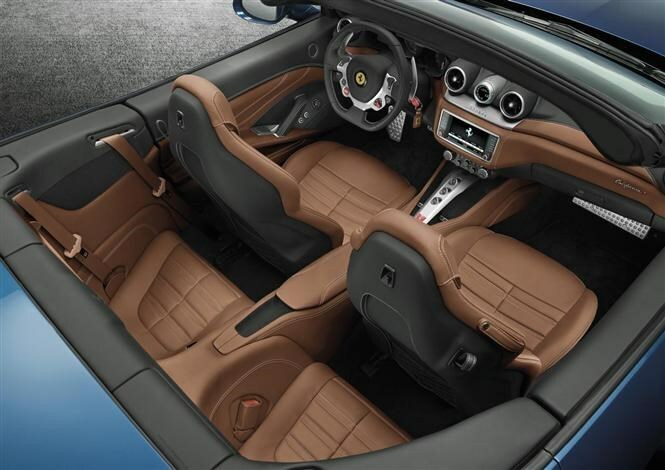 It’s been a while since Ferrari has had a turbocharged road car in its line-up but that’s about to change with the new Ferrari California T, on display at the Geneva motor show this week. As you’ve no doubt already guessed, the ‘T’ stands for Turbo. 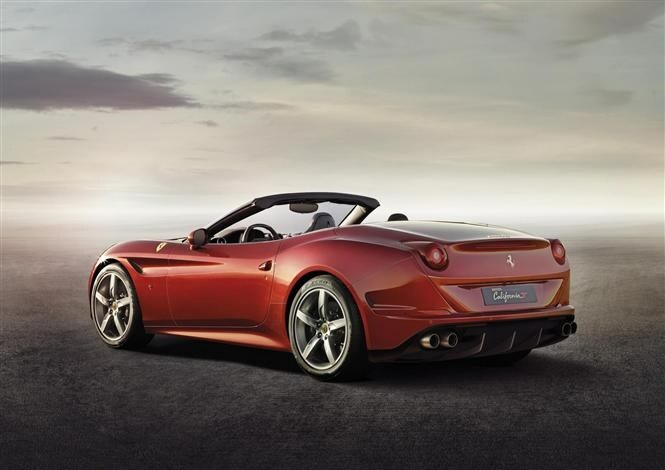 Up until now the California, a front-engined, folding hardtop convertible that occupies the entry-level point in Ferrari’s range, was powered by a 4.3-litre V8 engine with 483bhp. That has shrunk to a 3.8-litre V8 in the California T but thanks to two turbochargers it develops an extra 70bhp, taking total power output to an enormous 553bhp and peak torque to 755Nm. All that power and torque makes for some rather eye-opening performance stats: 0-62mph in 3.6 seconds and a top speed of 196mph. Judging by those figures, the California is no longer a soft-edged tourer but a serious supercar. Rather than being an extra engine choice, the California T will replace the current California altogether when sales start in the UK in September. That’s because it’s not only the engine that’s new – the California T also benefits from revised styling and considerable engineering changes under the surface. Steering and suspension settings have been altered, with a quicker steering rack, stiffer springs and new adaptive dampers that can react faster for improved body control. New composite brake components help the California stop better than ever while the traction control system has been updated too to help drivers put all that extra power down safely in slippery conditions. The California T has had a few styling tweaks too, and to many eyes looks more graceful than the outgoing model. 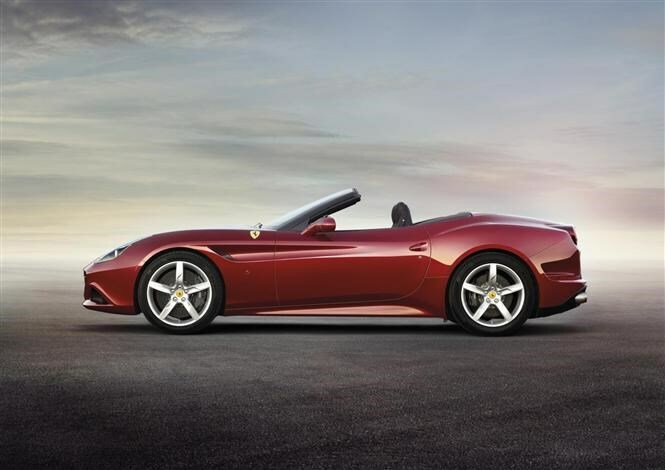 Its headlights now resemble other models in the Ferrari range more closely and the front grille has been made wider (partly because the more powerful engine requires a 20 percent larger radiator to cool it), among myriad smaller changes. An advantage of using a smaller engine is reduced fuel consumption and CO2 emissions. 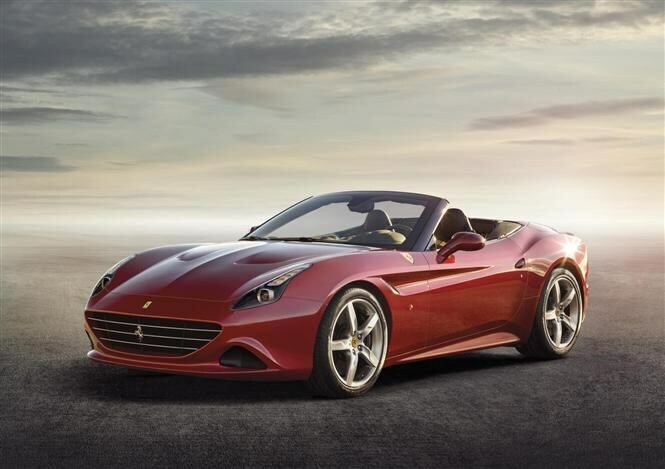 Claimed average consumption is 26.9mpg (previously 24.6mpg) and CO2 emissions have fallen significantly to 250g/km so the Ferrari California T sits in the same VED tax band as a Nissan 370Z. The T will be slightly cheaper to run than the old California, then, but it’s all relative – expect a price tag of more than £150,000.